Useful tips from a lawyer for startups to help you with your startup plans over the Christmas and New Year’s holidays. Do you have Christmas & New Year's holiday startup plans ? We have you covered. Are you looking to turn your startup plans into reality over the Christmas and New Year's holidays? In this post, we help you do just that. 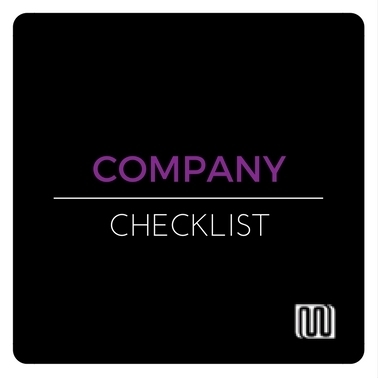 Also, we have turned key points in this article into a handy checklist that you can download below. First, you will want to avoid any legal trouble with an existing employer. Are you currently working for someone else ? and will you still be working for them when you launch your startup? If you answered yes, restraint clauses in your current employment contract are worth checking before you launch your startup idea. Restraints usually apply during and after your employment to stop you from being involved in a business that competes with your employer's. Also, restraints will usually be styled like the one below. If an employer takes you to court for a restraint like the one below, first, they will request a 12 months restraint, failing that they will request 6 months and finally failing that, they will seek a 3 month restraint. e) Within 20 km of the GPO Of the close to city to which you lived in the state Or territory referred to in d) above." Similar to the restraint period above, if an employer seeks to enforce this clause in court, they will first seek a restraint in Australia and New Zealand. Failing that, they will request Australia, then failing that New Zealand and so on. It's important to note that a restraint can only protect the true business interests of an employer and nothing more. Finally, if you are ever in doubt about what a restraint clause means for you, you should get legal advice. First, you will need a business structure in place before you open your business for trade. You can choose from sole trader, partnership, trust and company business structure types in Australia. The flexibility to allot shares in the company to investors and limited liability are attractive features of a company structure. Also, in case you were wondering, limited liability simply means that you are only liable up to the value of your company assets. Your personal assets are treated as being separate to those of the company. Setting up a company usually involves registering an Australian company number, Australian business number, goods and services tax registration, company tax file number and possibly pay-as-you-go registration. An accountant or lawyer can help you choose the best business structure for your startup. Setting up your ABN may take longer if some of the directors are non residents, this is because proof of identity documents that are required. See the Australian business register website for more information here. Our next tip is to have good quality legal agreements in place. Certain legal documents can help you protect and grow your business. We prepared an article “which legal legal services do I need first for my startup” you can read it here. Confidentiality deed - Sharing your business ideas with others ? a confidentiality deed can help protect your business ideas. Stakeholder agreements - for example, client agreements, supplier agreements and other agreements with your business partners.